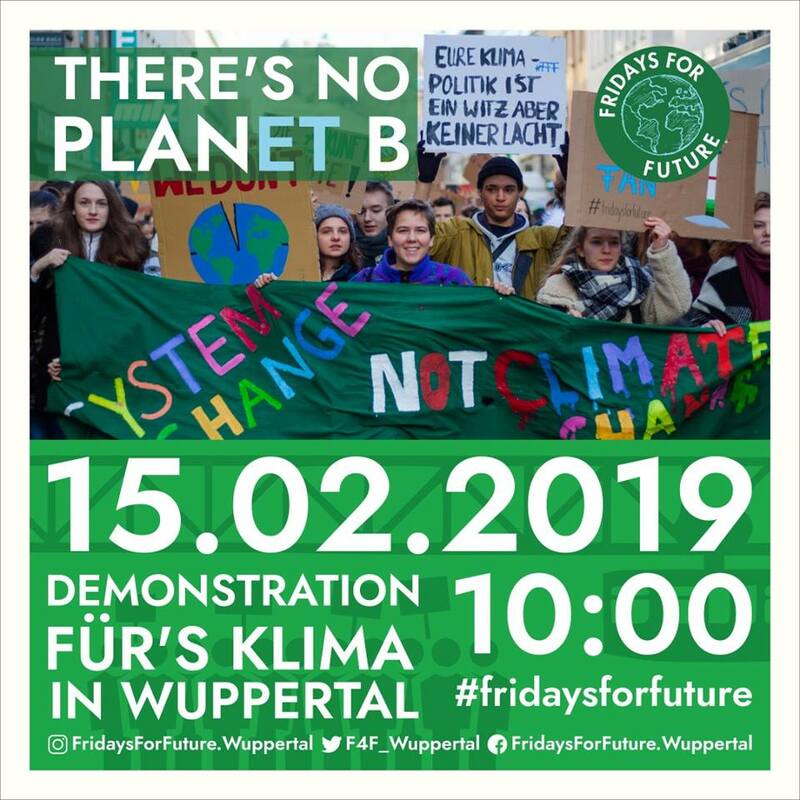 Originally published by Fridays for Future and Fridays For Future Wuppertal/Solingen/Remscheid Facebook page. Edited machine translation by Enough 14. The Enough Info-Café (Wiesenstraße 48, 42105 Wuppertal) is not open until 14:00 on February 15. Before that we will participate in the demonstration.